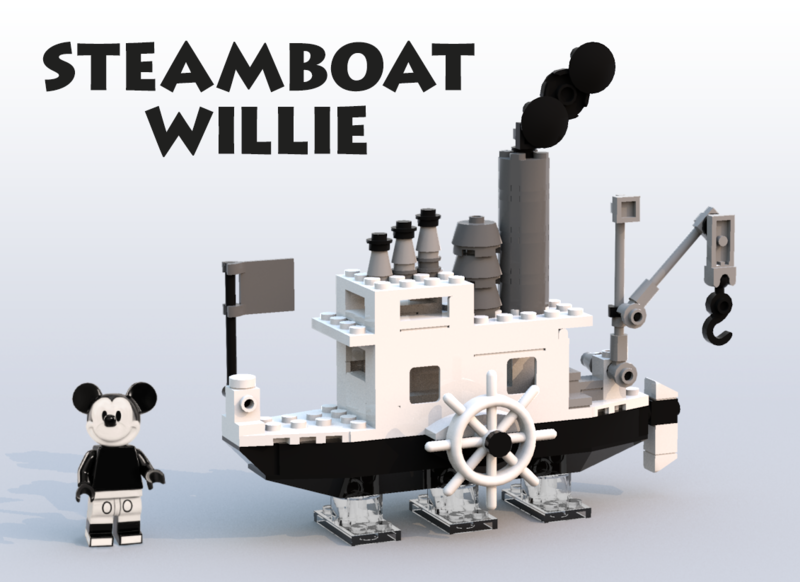 The LEGO Ideas Creation – Steamboat Willie has reached 10 000 supporters. Congrats to szabomate90 for achieving this. Good luck on the LEGO Reviews Stage! “Steamboat Willie is the first fully synchronized sound cartoon directed by Walt Disney and Ub Iwerks. It was the debute of Mickey Mouse in a cartoon the first to be distributed and the third to be produced. So as an animator and a Lego fan I’d like to pay my respect to that marvelous production, which since was created then inspired a lot of talented artists. You can read more about this creation on LEGO Ideas.